The new Emojis layout (for 21 emojis) is officially available in this version. This layout will be available in the next Google Play Stable release as well. 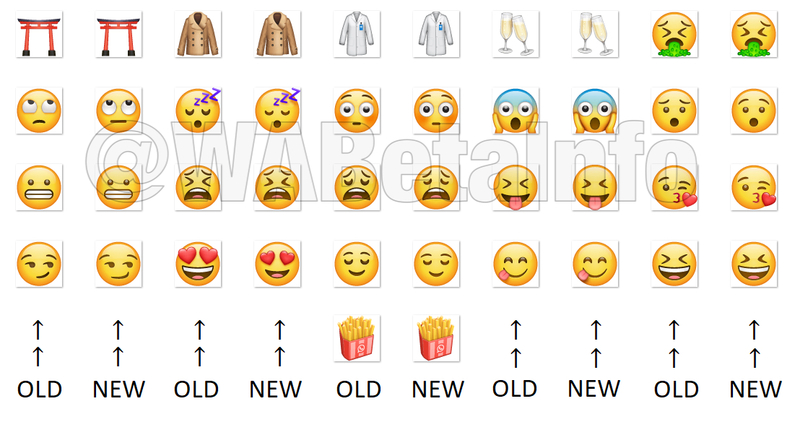 Recently, WhatsApp was working to improve the layout of 357 emojis in the 2.18.384 beta update, but today we have discovered that WhatsApp is still continuing to work on it: precisely, in this update, they worked to improve the design for 21 emojis. As mentioned in the 2.19.18 beta changelog, there is a bug that shows the Sticker Search button: don’t be tricked! It’s a bug and it has not been fixed yet in the 2.19.21 beta update. WhatsApp can remotely enable the Authentication feature from the 2.19.21 update, so we can expect a release soon. Note that this doesn’t mean that the feature will be enabled today or tomorrow but, when the feature will be enabled, the 2.19.21 update will be fully compatible (also if we always recommend to update to the latest beta available, that helps a lot when there are new features remotely enabled). Previous PostPrevious WhatsApp beta for Android 2.19.18: what’s new? Next PostNext WhatsApp is rolling out the Picture in Picture feature!